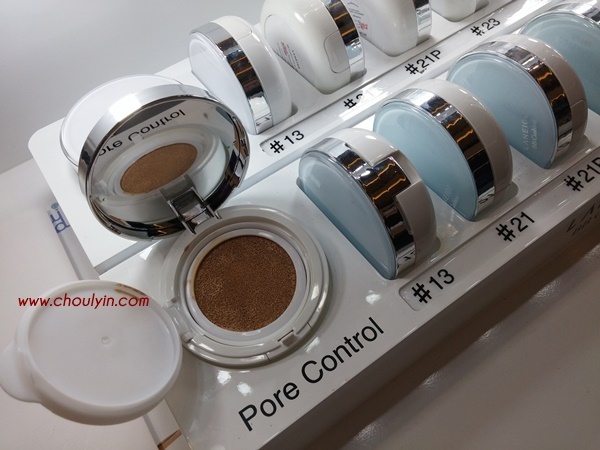 I have always been a big fan of Korean Makeup and Skincare, and Laneige is no exception. 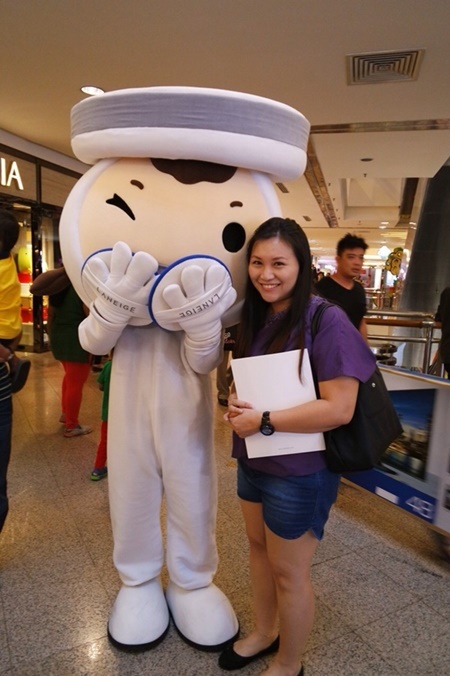 I first knew Laneige from its Water Sleeping Mask (which is awesome, btw) and since then I have always kept abreast of all the new products that Laneige has launched. 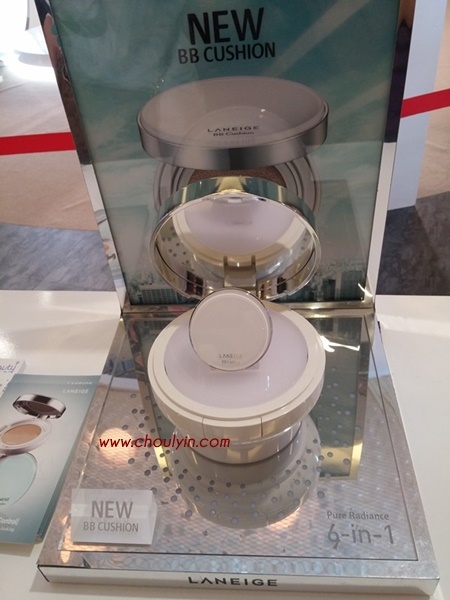 So recently, being an innovator in the make up space, Laneige has come up with a new product, and they are on a roadshow to launch this all across Asia. 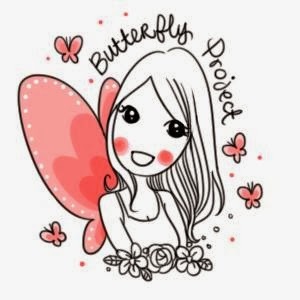 On a tour to seven cities, they aim to educate women about K-Beauty and the Cushion make up trend which is a very big hit in Korea. 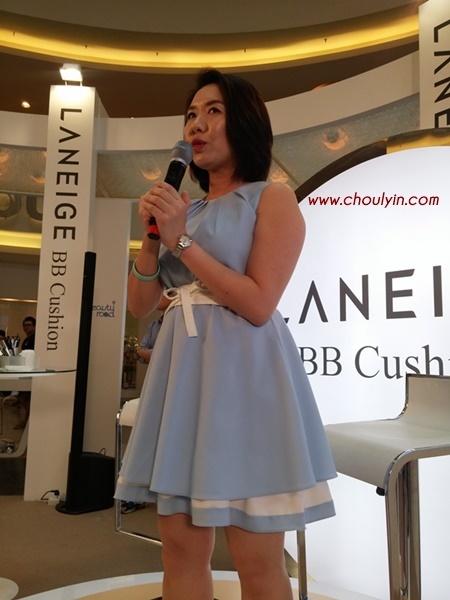 The Laneige Beauty Road with BB Cushion is the first global beauty tour of its kind, which aims to introduce the BB Cushion make up trend to parts of Asia after it became such a big hit in Korea. 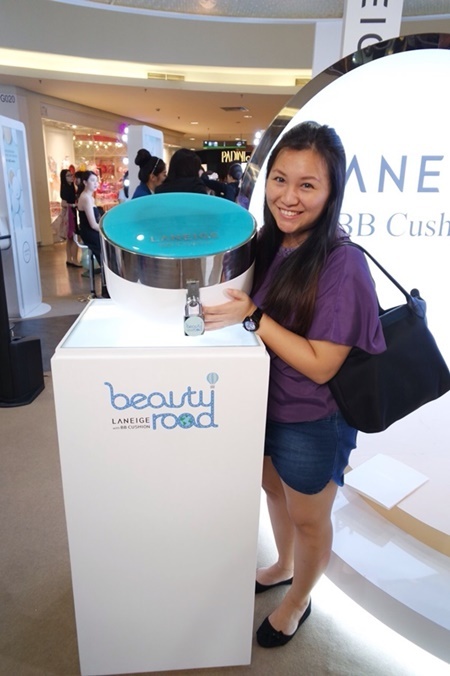 The BB Cushion was first introduced in 2011 and has since gained popularity with its multifunctional use as a convenient touch up anytime, anywhere. Did you know, 2 out of every 3 women in Korea has a BB Cushion in their handbag? It's perfect for touching up your make up on the go, and refreshing whenever you need to! That's how big the product has become. 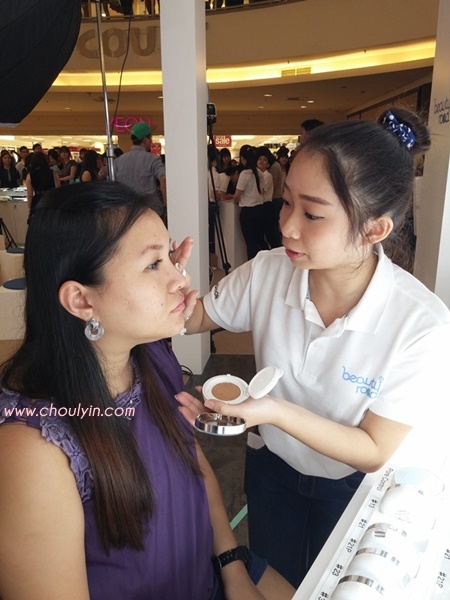 At the Beauty Road Show, it is a good opportunity for the public to discover the multi-functional use of the BB Cushion which can be used by the every day working lady to professional make up artists. What made my day was that I managed to meet Hwang Se-On, Korea's celebrity model and Laneige ambassador who was raised in New Zealand (she speaks fluent English!). 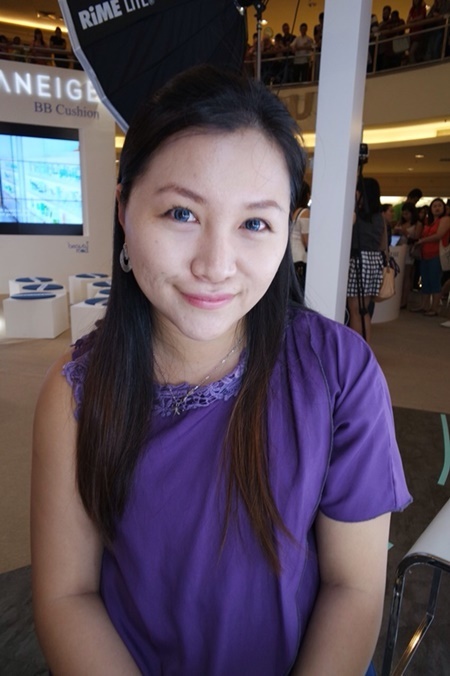 She spoke to us about her favourite Laneige product, as well as how she utilises the BB Cushion in her every day life. 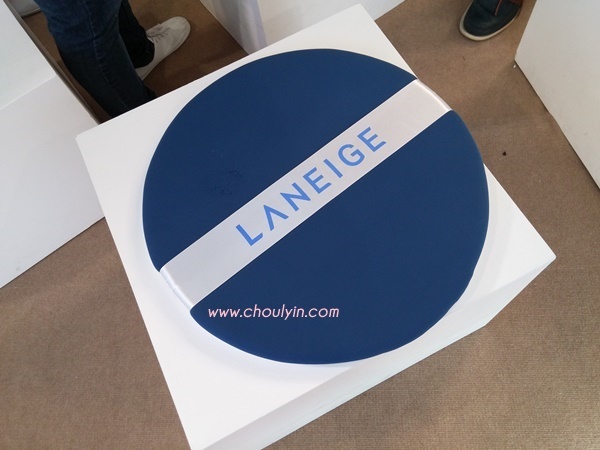 There was also the Laneige Global Make up Team at the roadshow and they gave us tips on how to make our face up with the neutral natural look that is perfect for every day wear. It was an eye opening experience for me and I love going to these make up workshops because I learn something new everytime. In this case, I learnt how to line my eyes without actually drawing it on my eyelid. The result? It makes my eyes look so much more natural! 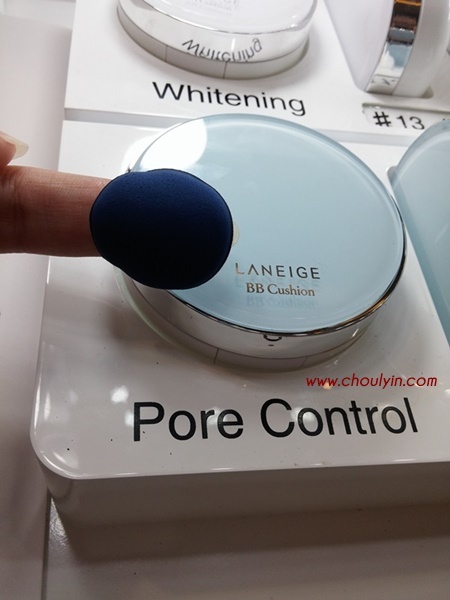 Laneige's newest product is the BB Cushion Pore Control, It is a revolutionary cushion mechanism with 800,000 pores. 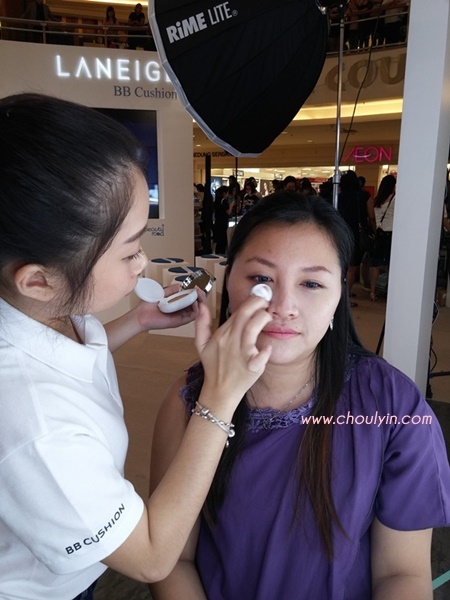 Compared to normal BB creams what comprise of large particles, the BB Cream from the pore cushion comes out finely like a delicate spray while applying it as a stamp will allow it for better affinity and hydration without caking. The normal shade that most Asian people will get is the #21, Natural Beige. So I tried it out at the roadshow, and it really made a difference. The photo above was taken before I used the BB Cushion, and the photo below was after. 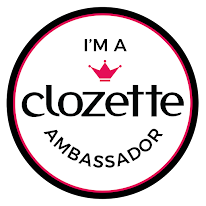 I looked very different after the application, and love how it evens out all my dark spots and minimises my pores. So how do you apply it? Just dip the Air-cell puff onto the cushion, and gently pat it on your face in a stamping motion as if gliding along with the surface of the skin, repeating the process every time the air-cell puff runs out of product. You will see a dewy effect look appearing where you have patted the puff, and voila! The coverage of the BB Cushion is buildable, so you can even use it to tap under your eyes as additional coverage for your dark circles.